Silver Oak Learning K-12 > Blog > What’s the Deal with the ACT Science Section? This is the third piece in our series of ACT posts, this time focusing on the Science section. To those that grew up with the SAT, the ACT Science section is the most mysterious part of the test. Most have no idea how to prepare for it, or what is even on it. This post sets out to eliminate some of the uncertainty surrounding the ACT Science section. The full name of the section is technically the “Science Reasoning Test,” which alludes to the fact that the test is mostly assessing your reasoning ability, not your knowledge of science content. This is an important distinction, as studying all areas of science for the test isn’t really feasible, nor necessary. Instead, what you need to focus on to do well on this test are 1) reading comprehension, and 2) data analysis. These questions require you to interpret the results and design of experiments. The students added 1 L of the flat-tasting beverage to an empty can. They sealed the can, shook it, and set it aside. Fifteen minutes later they found the roll time of the can before and immediately after shaking it (Trial 4). Again they set the can aside. Two hours later they found the roll time of the can before and immediately after shaking it (Trial 5). The results are shown in Table 2. B. mass of the can of beverage increased. C. roll time of the can of beverage decreased. To answer this question, simply note the difference between the results in the “before shaking” and “after shaking” columns of the table. Both trials saw increased roll times. There are no inferences to draw beyond this. These are typically the easiest questions in the Science section, as they rely on literal information provided in the passage. These questions are all about analyzing the figures provided. Some will simply ask you about what is literally represented in the figure, but many will require more comprehensive inferences. 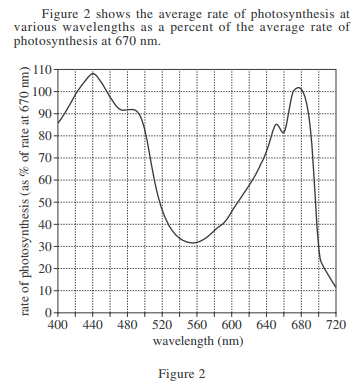 In Figure 2, at which of the following wavelengths does the rate of photosynthesis exceed the rate of photosynthesis at 670 nm? 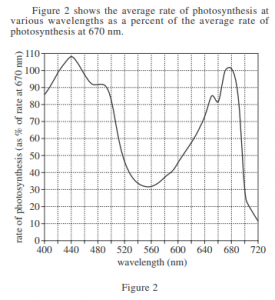 For this question, the reader needs to recognize that the y-axis of the graph is measuring the rate of photosynthesis at various wavelengths as a percent of the average rate of 670 nm. This means that a wavelength that exceeds the rate of photosynthesis will be higher than 100%. The only answer choice that meets this criteria is answer B. These questions ask the reader to make deductions using information from write-ups of multiple experiments or hypotheses. that genes are NOT composed of DNA ? 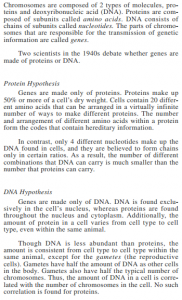 A. DNA is composed of only 4 types of nucleotides. 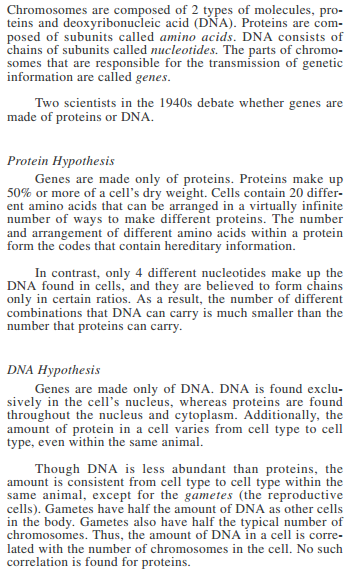 The paragraph beginning with “In contrast…” makes it clear that since DNA is made up of only four different nucleotides, there aren’t enough different combinations of them for DNA to make up genes. All of these questions can be answered with minimal science content knowledge, instead requiring reading and analytical prowess. When preparing for the ACT Science section, focus on developing these rather than trying to study any one field of science.